About this title: I had a plan today to sit down and dedicate some time to my blog (I know, it’s been a while…). 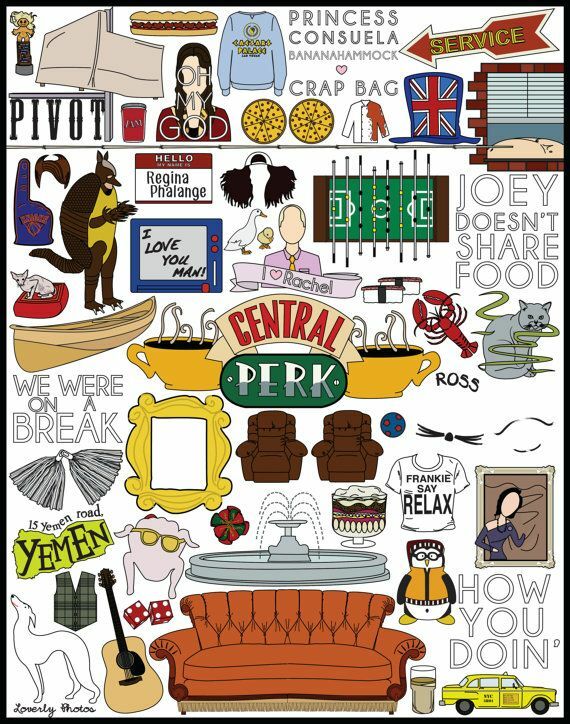 But at the same time, my TV decided to air a Friends marathon… even though I’ve seen all of the episodes like a gazillion times! So due to a not-to-be-missed marathon and the need to get some blog posts written, I’m currently sitting on my couch binge watching Friends and typing this post in the ‘notes’ app on my iPad. The title of my note reads ‘New Note’ and I liked it. Hence the title: A New Note…. As much as this blog has been neglected over the past couple weeks, my sewing and patchwork adventures haven’t! 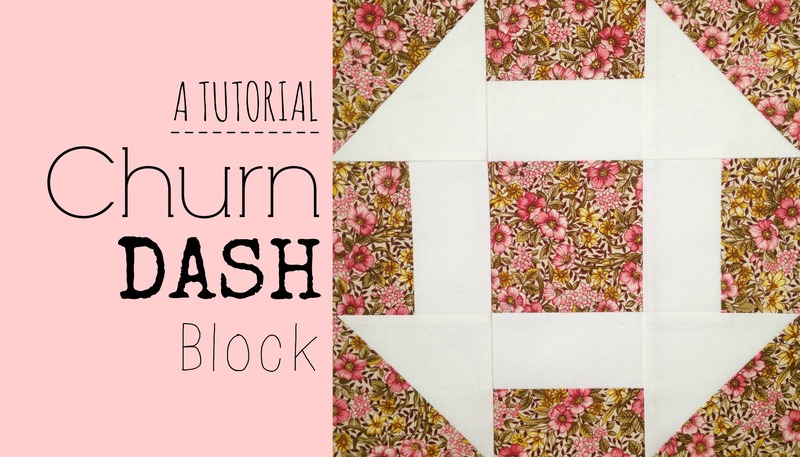 My last post was all about my latest Quilt Block Video Tutorial – the Churn Dash Block! Simple, quick and effective! Perfect for beginners! One afternoon, about a week ago, I was bitten by the ‘Cutting Bug’. 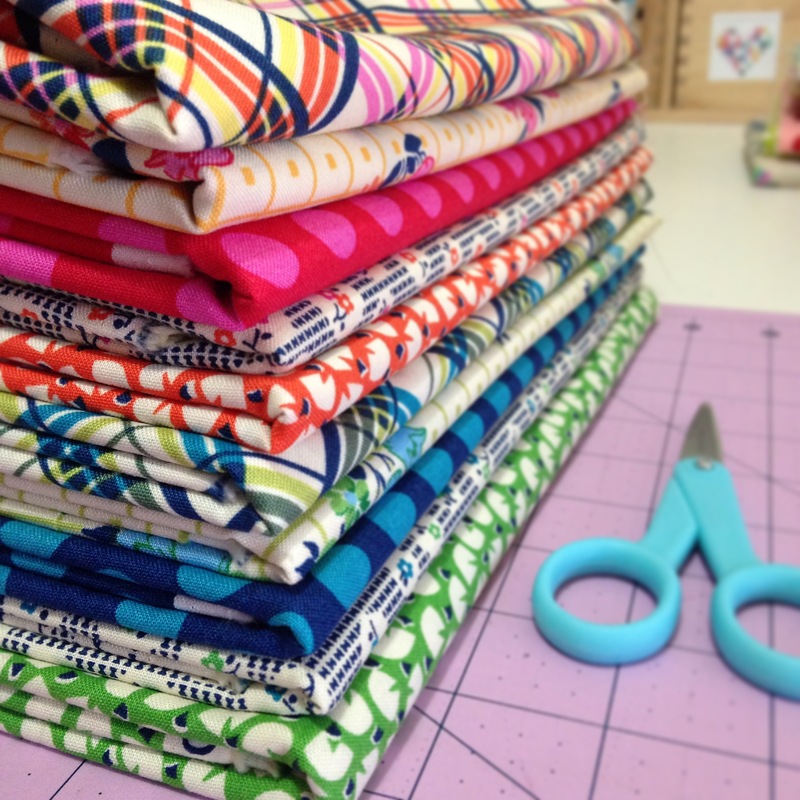 You know the one I’m talking about; where you’re suddenly taken over with an urge to start cutting up some fabric and begin piecing together a quilt just for the heck of it. 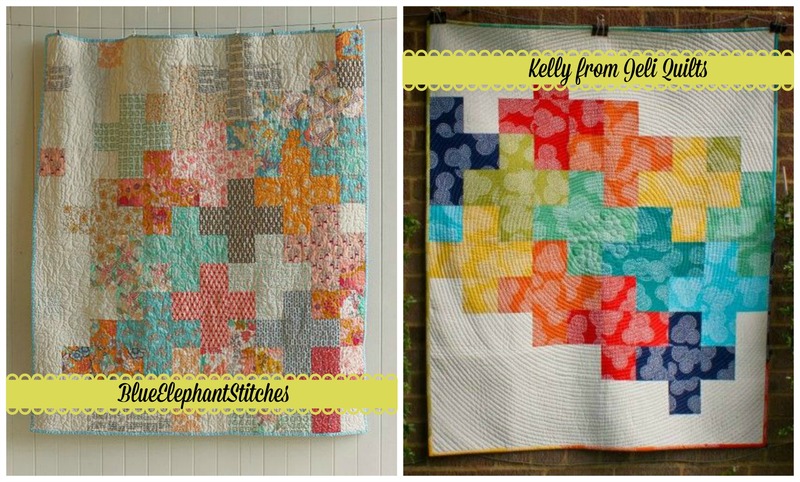 Find links to each of these quilts at the end of this post! So in about an hour, I had cut 100 5inch squares from random fabrics that I thought looked good together and hey-presto, a new quilt top is currently (albeit slowly) being pieced together! Once finished, I think it’ll become a really sweet lap quilt – suited for watching Friends marathons and writing blog posts on the couch! Te-He! Another sewing adventure happened this past weekend when I helped host a Quilting Expo Day at my local Spotlight store. It was a fun day, as usual, where I got to teach, demonstrate, chat, sew, laugh, eat and be inspired by others. 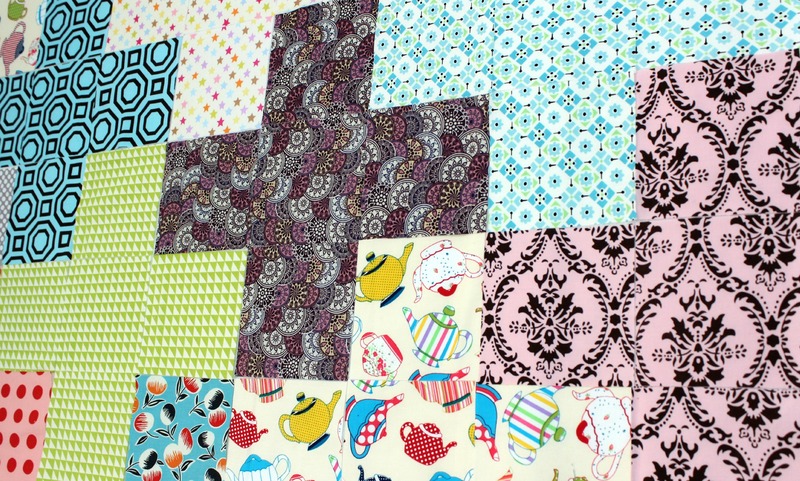 I made simple blocks and projects that featured basic patchwork elements like cutting and piecing, making HSTs, pressing and chatting about all the different tools that can make the experience a whole lot easier (and fun!). I also had the opportunity to make and swoon over this Piccadilly DS Quilts Fabric range! Oh my!! And lastly, over the past few days I’ve been dabbling in a spot of dressmaking! 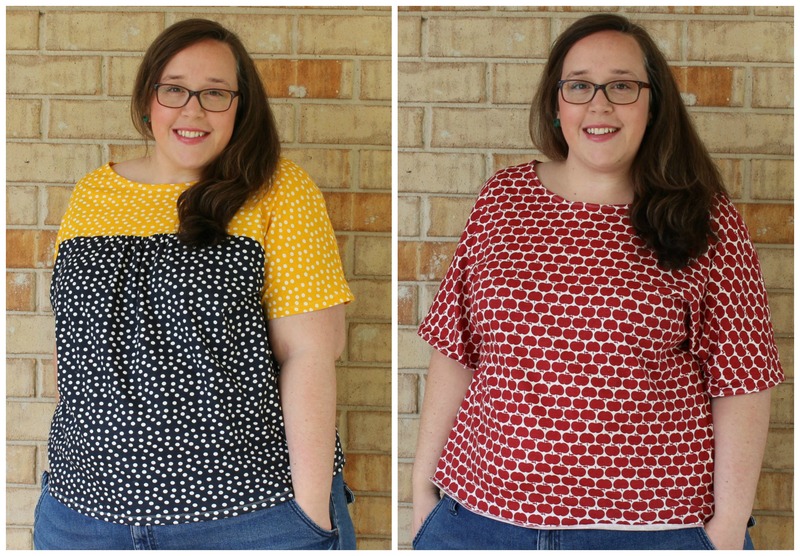 I’ve been searching for a while for some basic t-shirt patterns and was able to find some perfect ones while I was at Spotlight on the weekend! Whoo! So I bought some fun printed cotton knit fabrics and got going the next day! I’m so happy with how they’ve turned out! 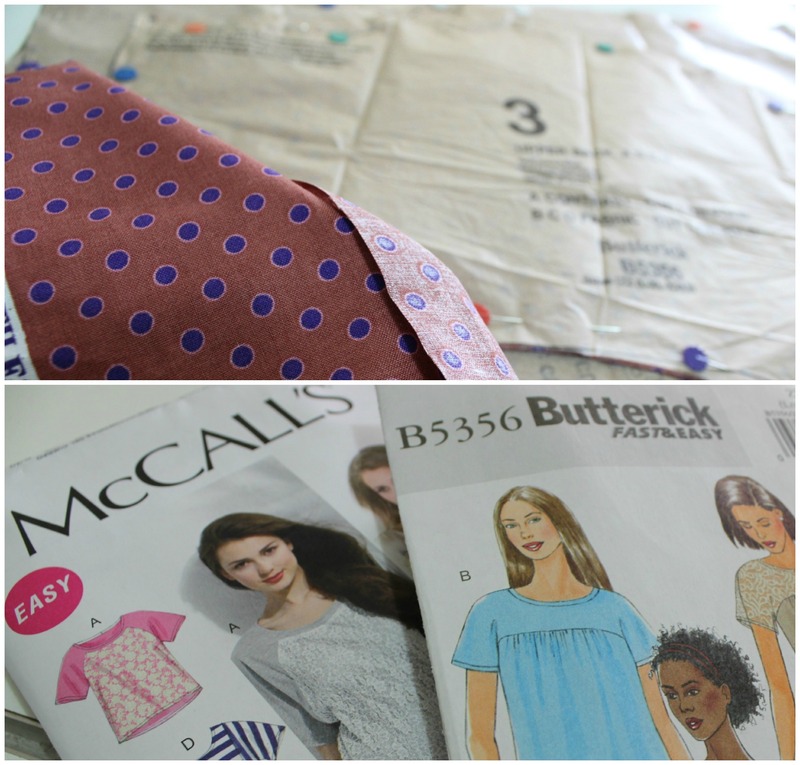 So happy that I’ve actually cut out my third pattern, but instead I’m using a lovely cotton weave spotty fabric that will make (I think) a really beautiful blouse. So there we go! You’re all caught up! Can you relate to my ‘Cutting Bug’ itch? Let’s digress together in the comments below! Previous PostTutorial: Churn Dash Block Next Post4 Fun & Easy Halloween Crafts! Your t-shirts have turned out really well! Almost tempting me to get over my fear of sewing knits and try to make them myself!